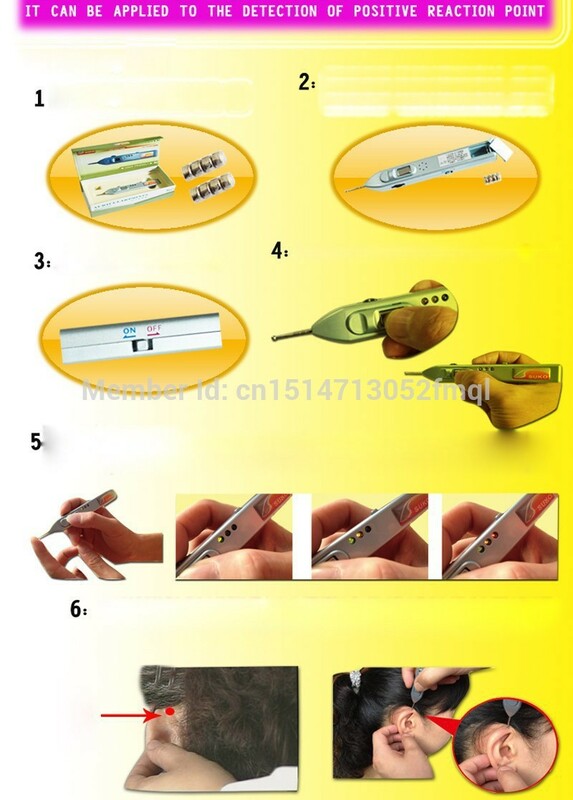 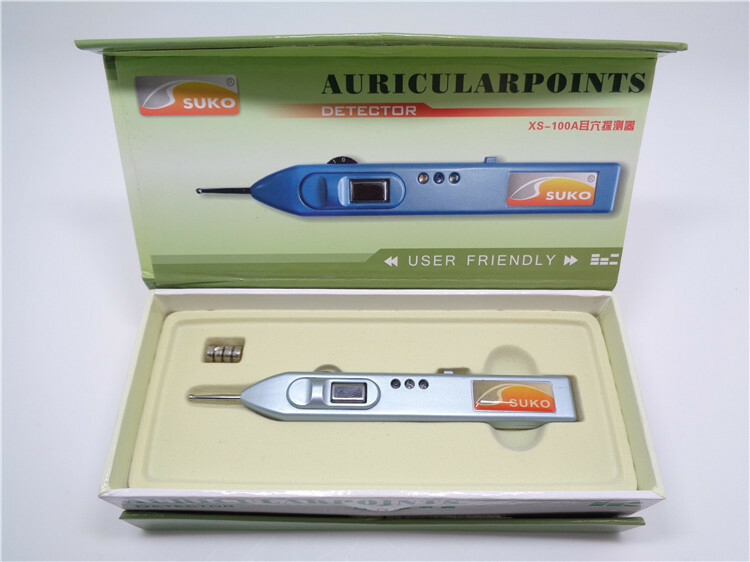 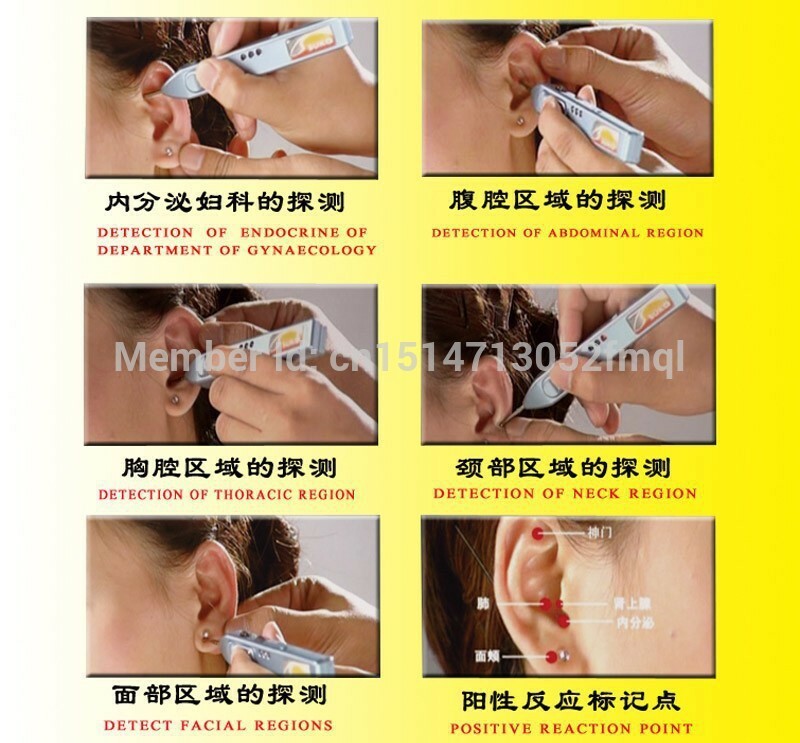 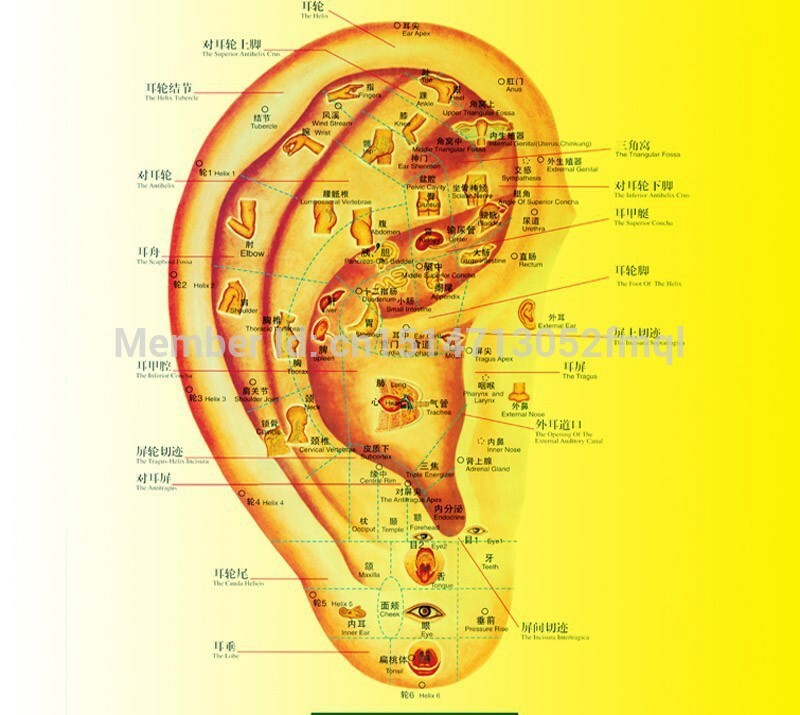 3, the detection result: more accurate reference point adjustment, the probe\\\\\\\\\\\\\\\\\\\\\\\\\\\\\\\’s right to keep holding the detector, metal electrodes close to the right thumb, left thumb, food being tested by the two-finger pinch ear lobe or helix, the probe needle being tested by the pinna of the ear zoning action, the pressure should be uniform, and the pressure detection reference point size remains basically the same. 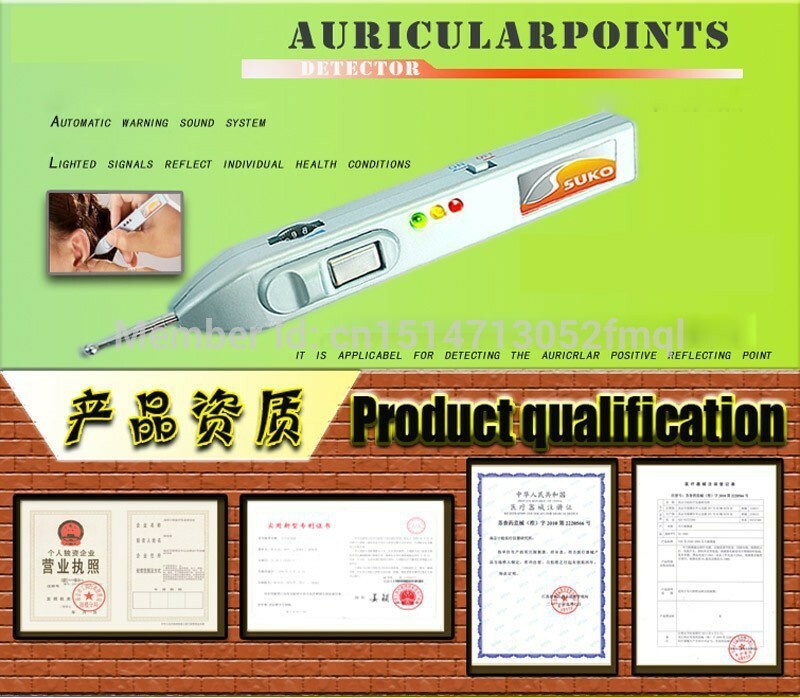 Detection angle perpendicular to the skin surface as possible. 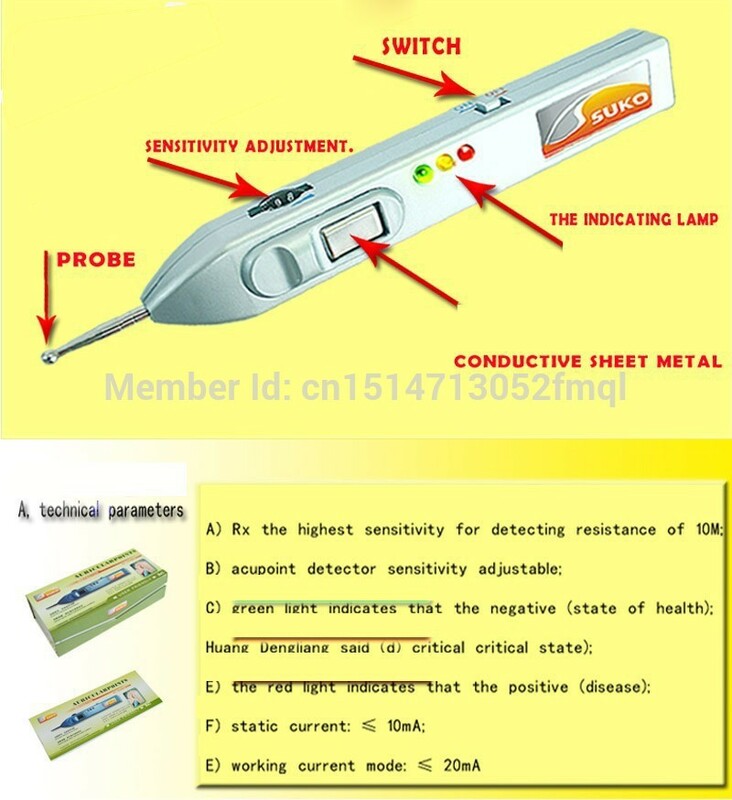 Probe light is green, it means that the points corresponding to the organ in good condition, bright yellow light that is in a critical state, turns red (and it will alarm) indicate a problem, this point is called positive points, at this point to do the appropriate treatment can significantly improve the outcome.